If you have small kids in your house and you need some time alone to handle important work projects, you can choose to convert your loft into an office. 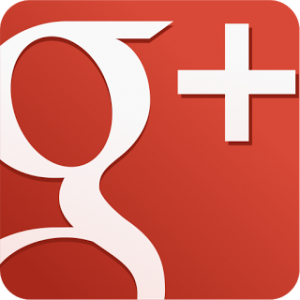 This is a popular and worthwhile investment for homeowners who want to stay productive at home. You can choose to have a built in storage at the side and a desk in the middle of the loft space. If the space in your loft is big enough, you should choose to put it into good use. One way to do that is by creating extra bedrooms. Extra rooms could serve as guest rooms in case you have relatives or friends sleeping over. Alternatively you could sacrifice space for an en-suite. 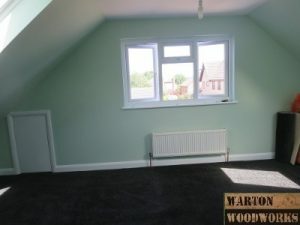 Below are examples of a hip to gable loft conversion rooms, and a main bathroom. You can actually view the full project from start to finish for inspiration here. This is one of the most important loft ideas for homes to consider. In case you feel that your loft is too small to serve as a bedroom, you can convert it into a storage space. This is a good way for homeowners to de-clutter their homes by storing items they don’t use in the loft. To make the most of this space, you can choose to have in wall shelves, below eaves storage and bespoke shelves as floating storing. Other tight corners can also serve as storage space. 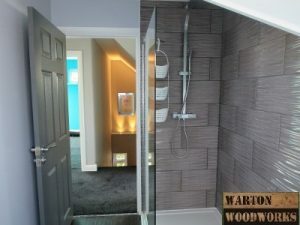 Adding a shower room in the attic is an effective way of utilising the loft space. To make the shower room to be spacious, you can avoid a swinging door. Also minimise on the eaves storage as much as possible. This will make the shower room, spacious so that you can have a free standing bath tub. And since it is in the attic, the shower room will be very private as well. This project might be a little bit more expensive if you need to remove the ceiling so that you can create a double ceiling space. However, if the initial ceiling height was high enough, then it would not require expensive renovations. Either way, creating a mezzanine space in your attic is totally worth the budget. Make sure you consult with the local authority so that you meet their building regulation requirements. If you have small kids in the house, you create a kids room for them in the attic. The kid’s room could serve as a play area where you could have kids toys or video games. 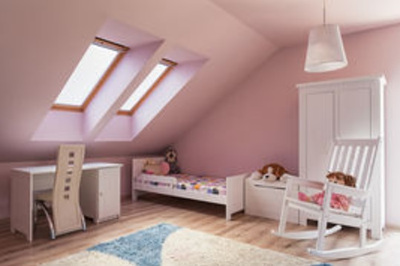 A kid’s room in the attic would be important if their bedroom is not very spacious to play. In case your loft is not large enough to serve as an en suit or bedroom, you can still convert it into a reading room. You can design the reading to suit any family member, young or old, so that they can spend some quiet time there. 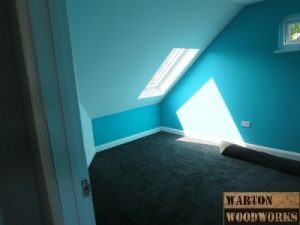 In case you want the attic to serve as a reading room for kids, you can choose bright colors, which makes it enjoyable to read from there. Ever dreamt of having a walk in wardrobe in your house? 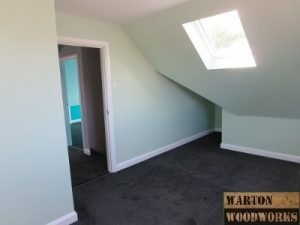 How about you convert your loft into a walk in wardrobe. You can have custom closets at the walls of the attic and a window at the ceiling to bring in light. Every woman would certainly want this in their house. Just imagine returning home from work to watch your favourite movie at the cinema room in the loft? In my opinion, that would be the most relaxing feeling. Other than the screen, you can choose to have comfy bean bags as seats. If staying fit is one of your goals, you can have a fitness area in the loft. This is good for people who love working at home rather than going to the gym. You can include simple equipment’s like dumbbells in the fitness area. We hope you have enjoyed this top 10 loft ideas for homes article. Are you thinking of converting your loft? 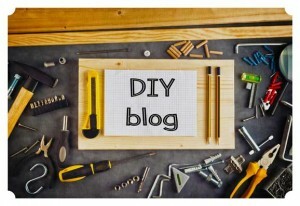 Read this article to get some great conversion ideas.